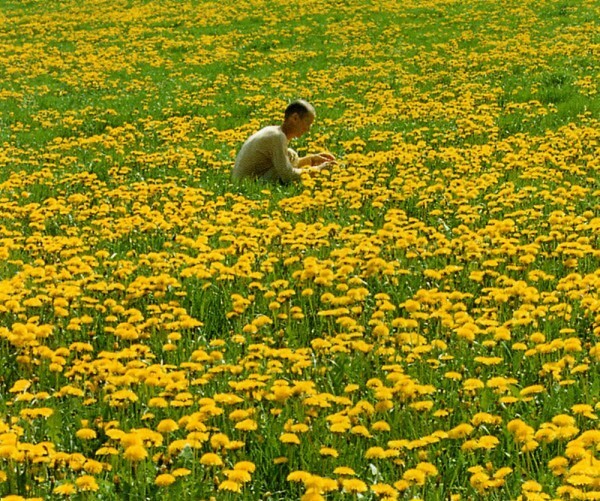 Wolfgang Laib collecting pollen in rural Germany. 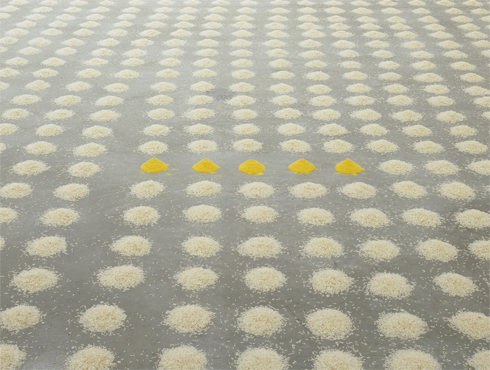 Some of you might have been lucky enough to catch Wolfgang Laib’s installation “Pollen from Hazelnut” at the Museum of Modern Art this past winter. Laib created an 18 x 21 foot square floor installation of pollen he has collected in jars every day for the last 25 years. Seen from above, Pollen from Hazelnut looked like a glowing yellow beacon, calling to our senses to disengage from the activity of the busy museum for a moment of quiet contemplation. 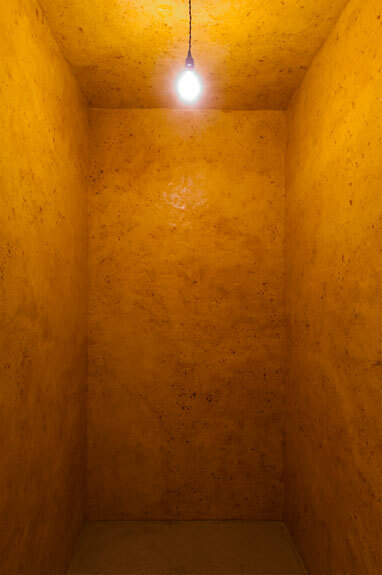 If you missed the MoMA show, you can take a quick train ride down to Washington D.C.’s Phillips Collection where they have commissioned Laib to create a beeswax lined room measuring 6 x 7 x 10 feet. 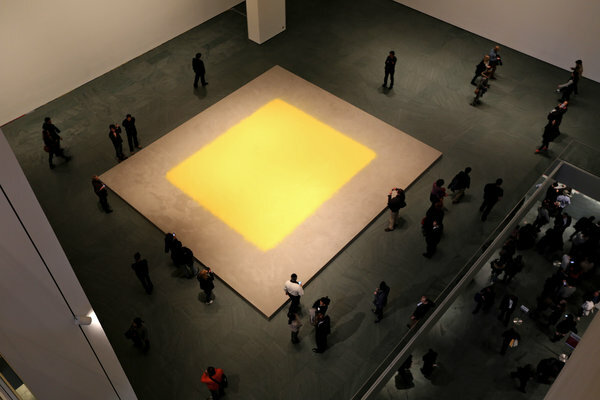 The installation, which opened to the public on March 2, 2013, is titled “Where Have You Gone – Where Are You Going?” (2013), and consists of beeswax melted and then applied to plywood in a manner similar to plaster. 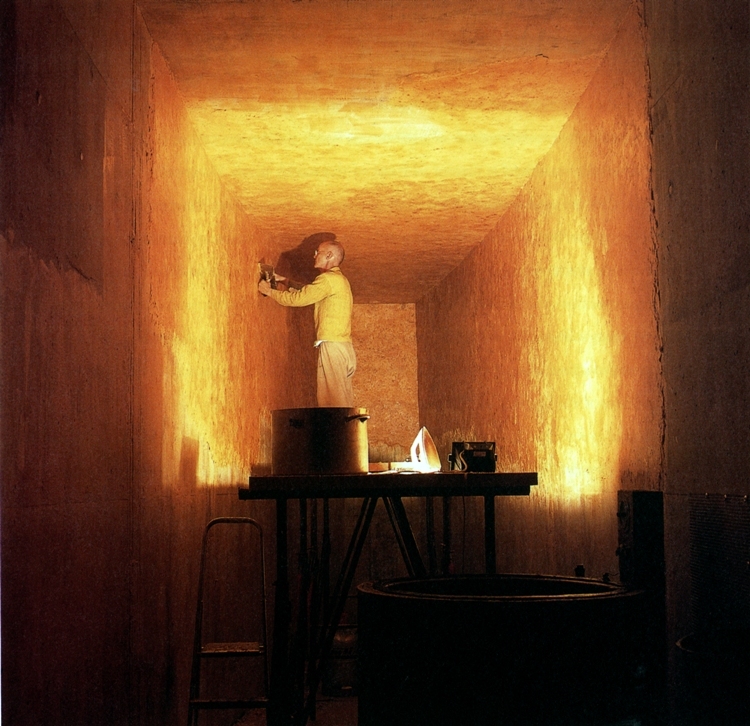 Only two other permanent installations of the wax rooms exist: one in a cave in the French Pyrenees, and another on Laib’s personal property in southern Germany. Lit by the glow from a single lightbulb, Laib’s Wax Room at the Phillips is an idealized space of contemplation and reflection. 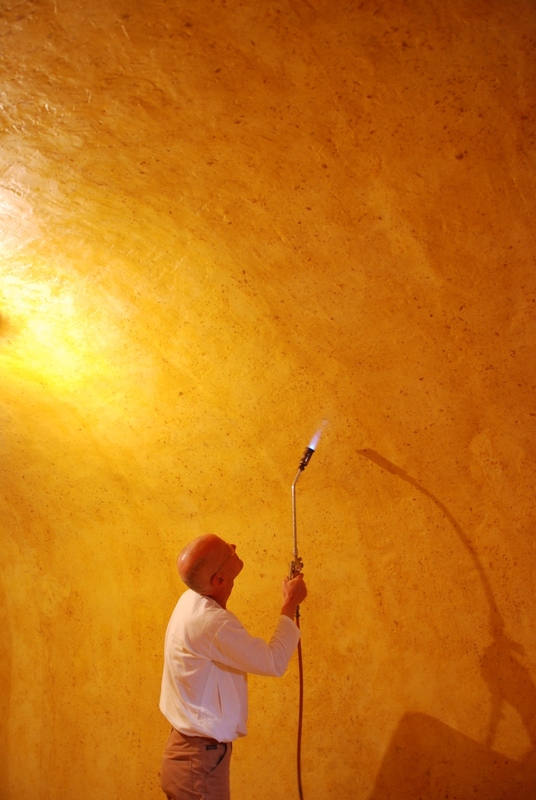 Wolfgang Laib, Wax Room. (Wohin bist Du gegangen-wohin gehst Du?/Where have you gone-where are you going? ), 2013. The Phillips Collection, Washington, D.C. Photo by Lee Stalsworth. An inescapable fact of Laib’s beeswax works is the scent emanating from them–there are few smells as familiar and comforting. Laib employs raw materials that can engage all of our senses. His most famous works, “Milk Stones,” consist of white marble cut with slight indentations into which milk is poured. The milk sits on top of the hard, cold stone, subject to slight movements in the air that can send ripples across its surface. 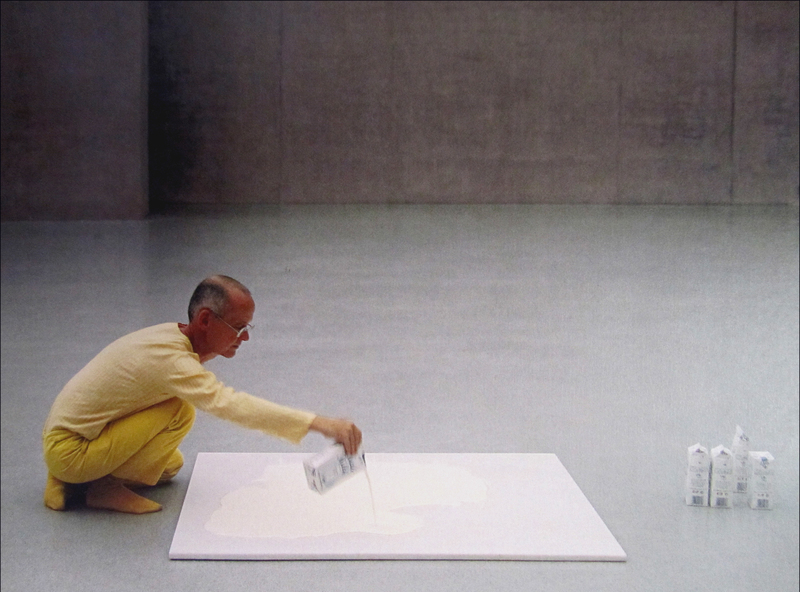 The milk is changed each day during exhibitions, adding a ritualistic aspect to the maintenance of the art work. Enter your email address to subscribe to Mad Perfumista and receive notifications of new posts by email.